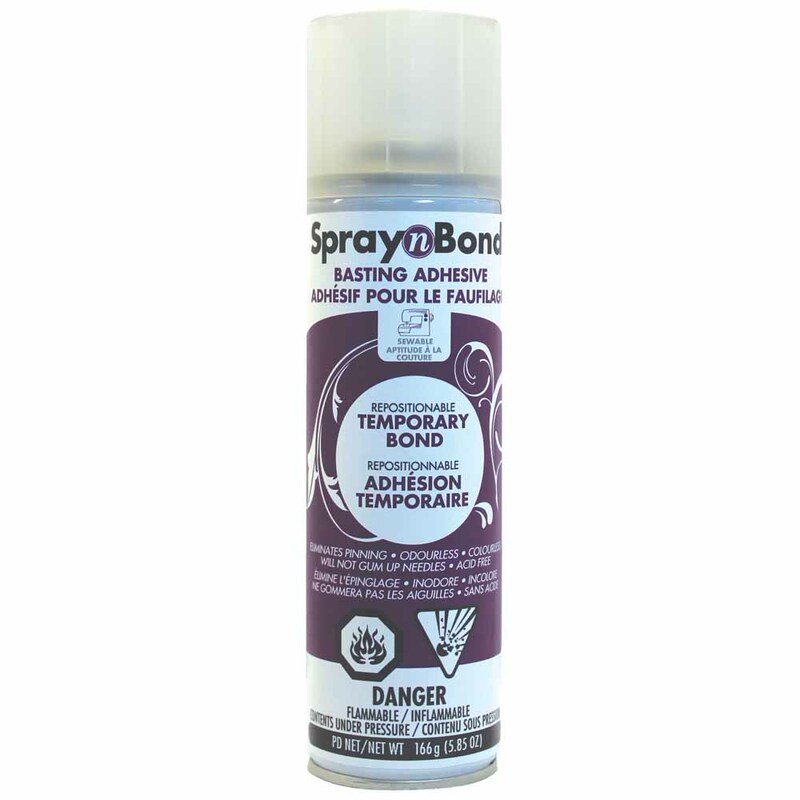 SpraynBond® Basting Adhesive is a temporary bond spray adhesive for fabric. Repositionable, washes out of fabric and is sewable - will not gum up needles. Use it in your design phase for pattern piecing, for figuring out appliqué placement, to hold templates onto fabric and assembling landscape quilts. Use it during sewing to eliminate pinning of appliqués, for holding stabilizers onto fabrics during embroidering, or to hold backing fabric to batting. Labelling conforms to CCCR regulations andconforms to ASTM-D4236.